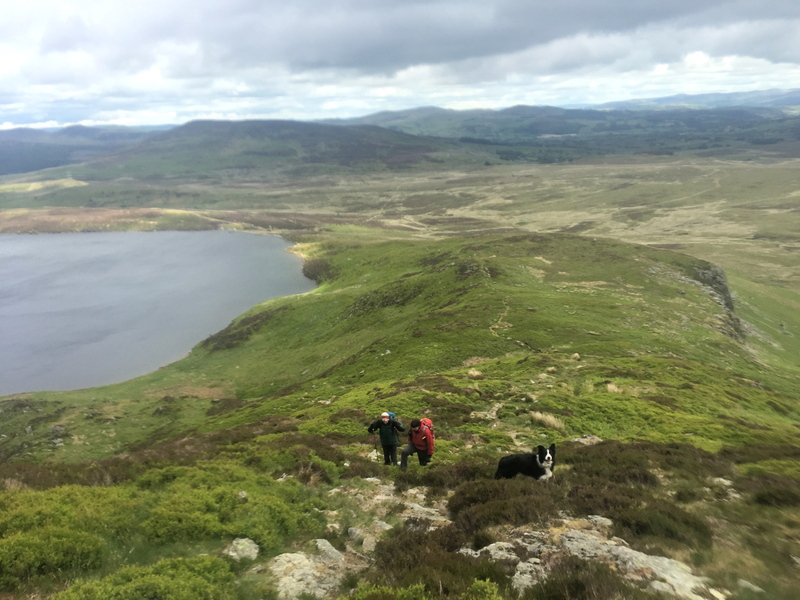 #180 – Arenig Fawr – Going to the dogs! 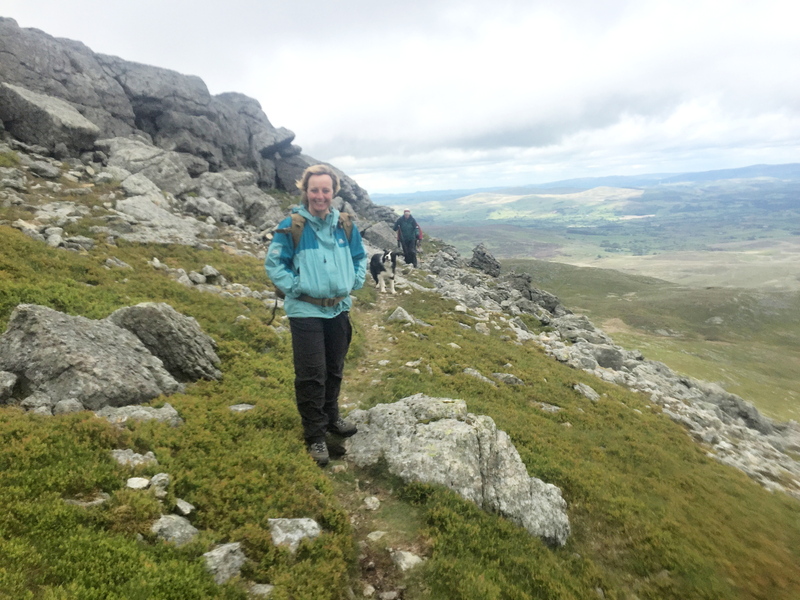 This was our second visit to Arenig Fawr – Chris and I had been this way in 2012 (see post #101) and had a cool day (that’s the temperature and not the vibe!) so a return was overdue. Last time we had approached from the west, missing out the lake that sits to the east of the hill – this time we decided on the east side. 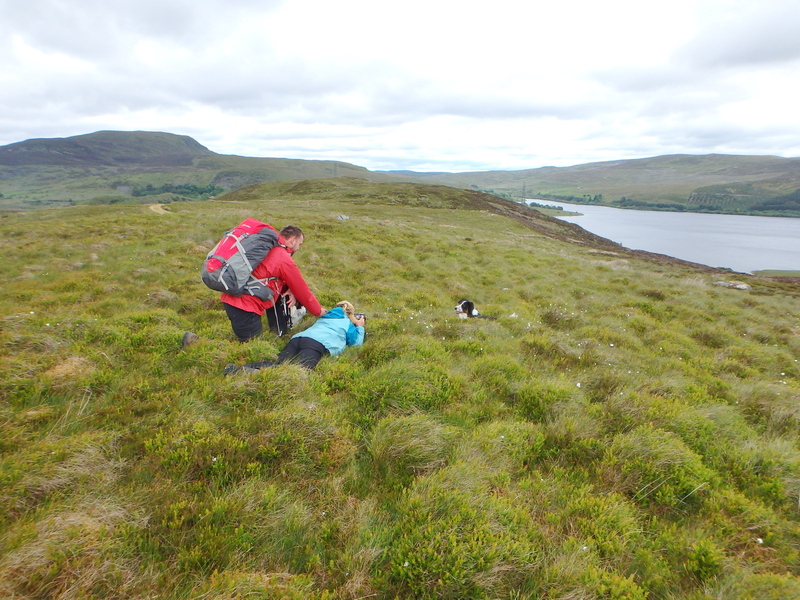 The trials of a photographer – Babs getting down to it …. 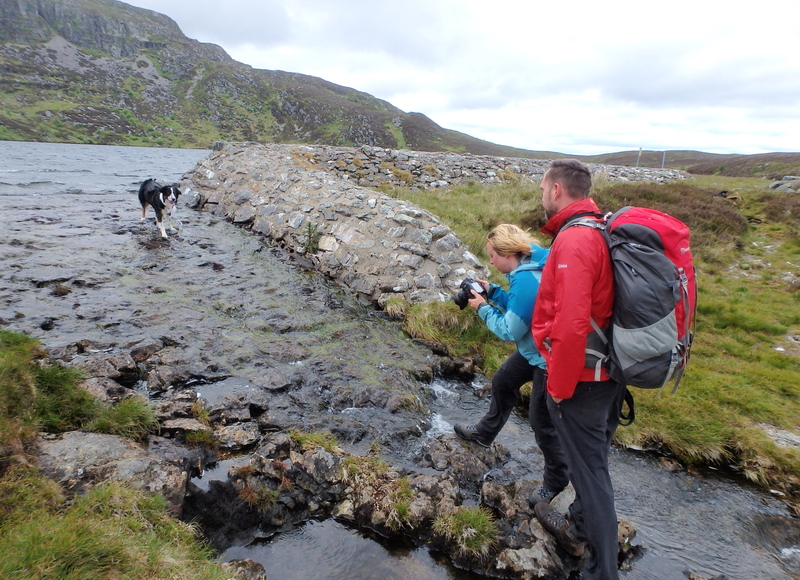 Babs getting her feet wet for another pic …. 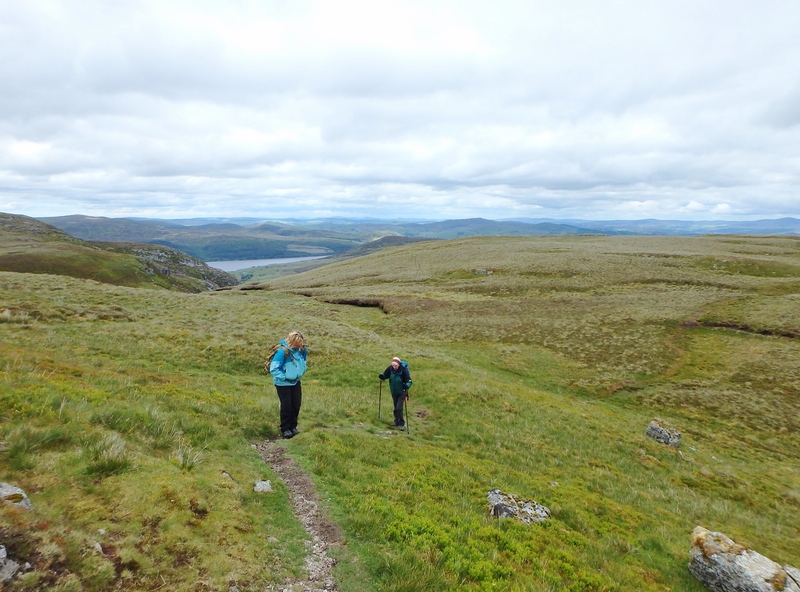 The uphill section goes on a bit …. 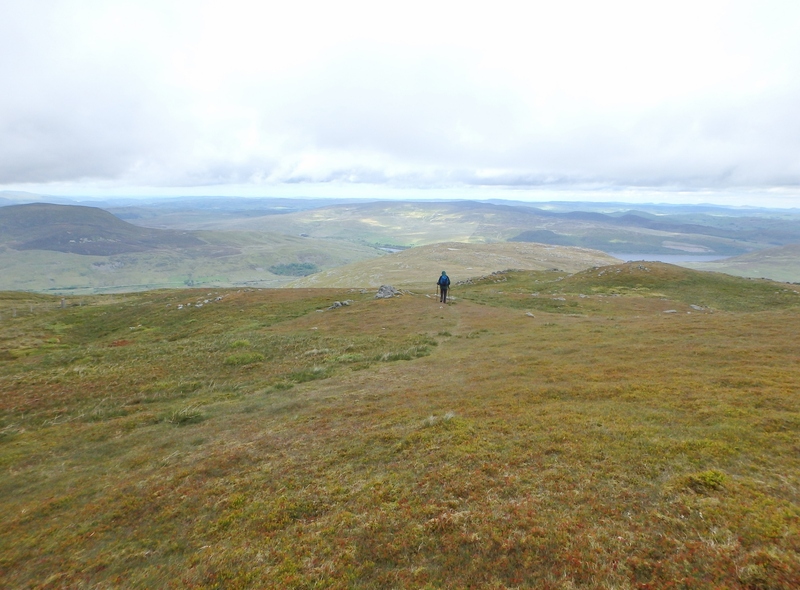 A gently rising track started the day, with the Lake of Llyn Arenig Fawr coming into view as we walked. Above the lake the steeper work starts, with a height gain of almost 300 metres over 1.5 kms. 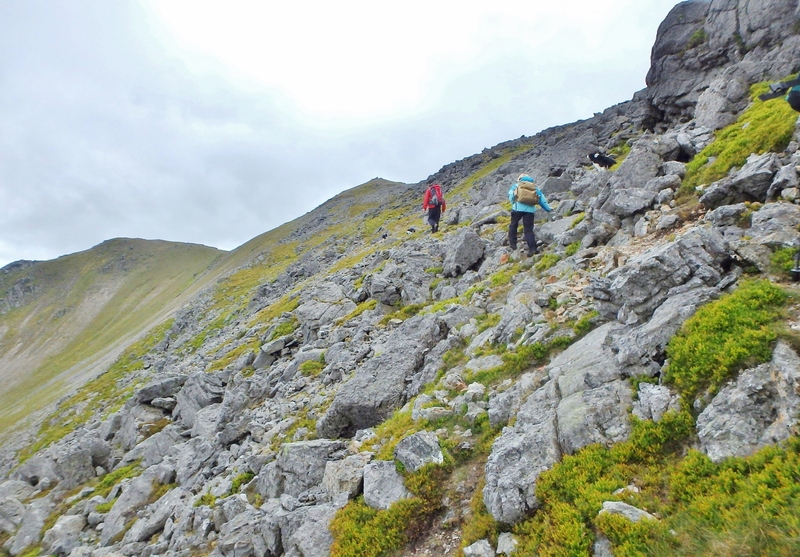 At the top of the steep section there’s still a bit further to go …. …. 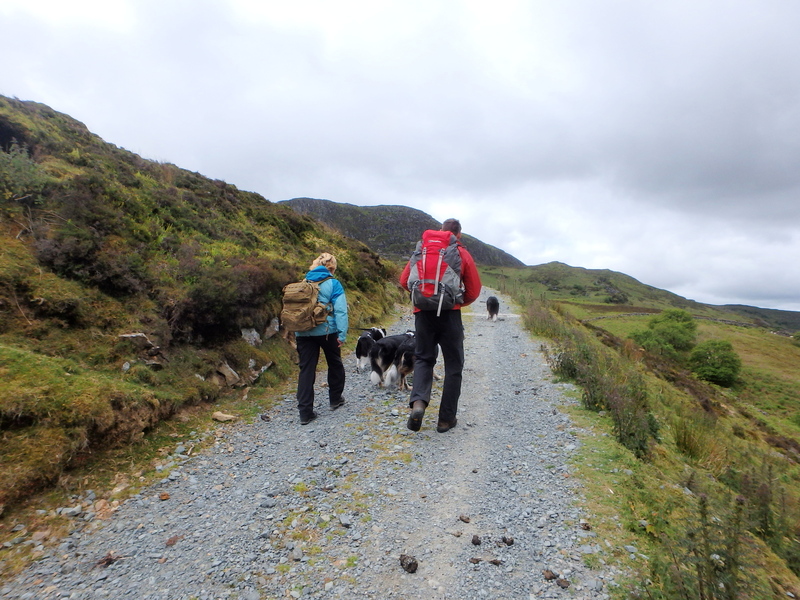 with more uphill …. 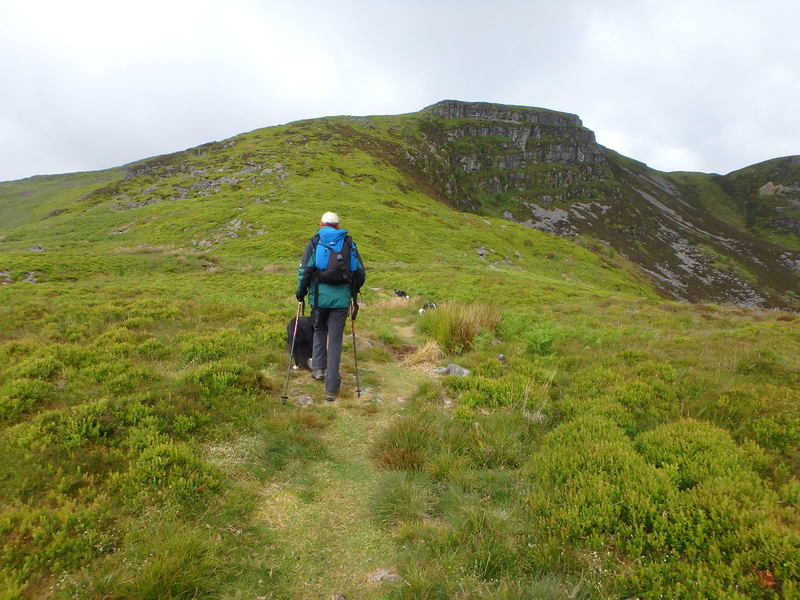 Heading for the summit …. 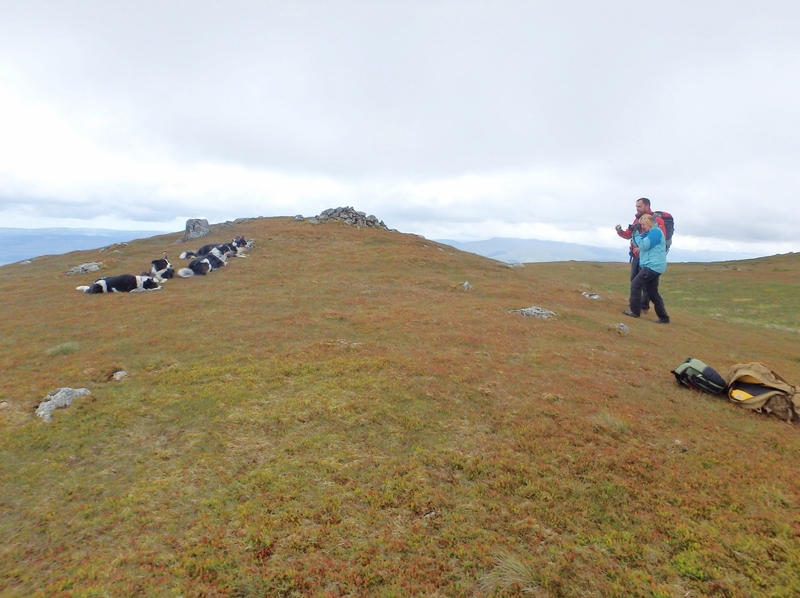 The next bit was a similar distance but with less height gain, making the going much easier, not that the dogs were having any problem keeping up – as usual the opposite was true, and getting four energetic Border Collies to stand still long enough for a photo was challenging to say the least. 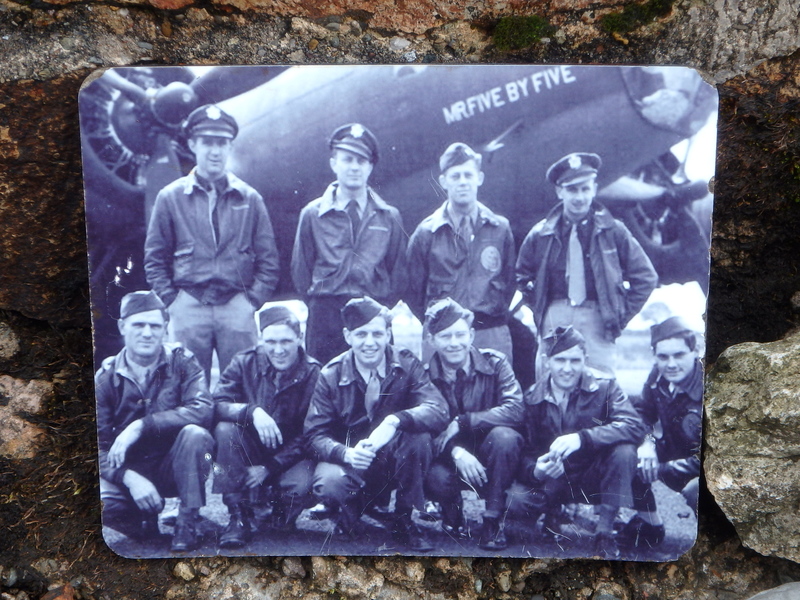 Memorial to the crew of the crashed B17 Flying Fortress …. 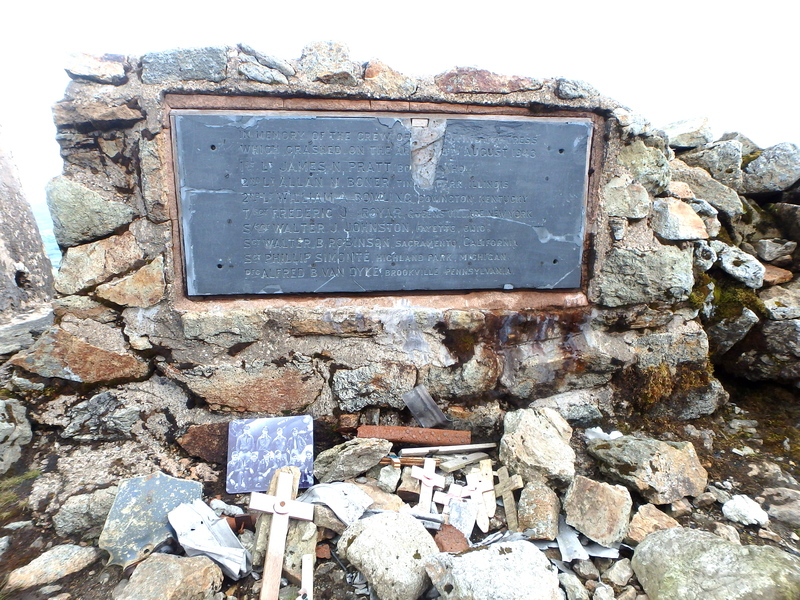 At the summit there is a memorial to the crew of the USAAF B17 Flying Fortress that crashed on the mountain on 4th August 1943. The aircraft was on a training flight when it crashed, and sadly the crew of eight were all killed – although the memorial itself is starting to show the effects of weather and altitude, there are always newly placed tributes to the airmen including the recent addition of a photograph of the crew. 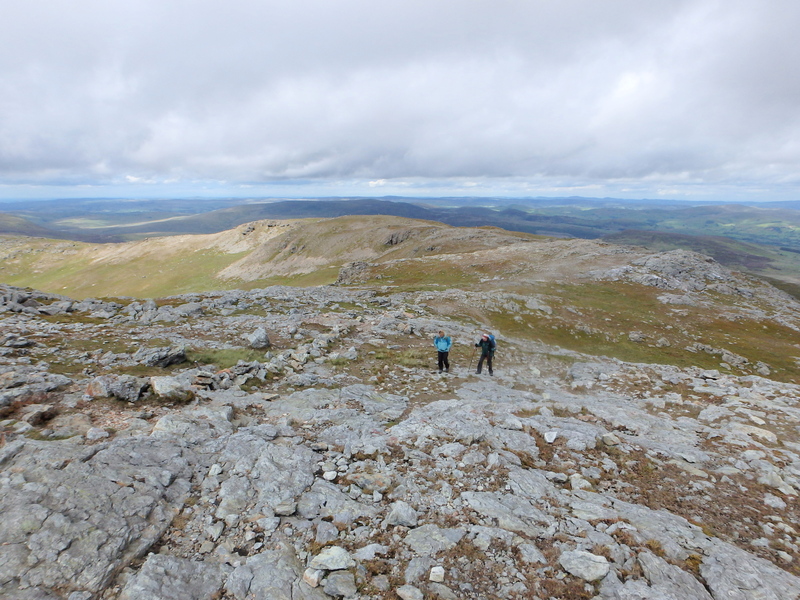 View to the South Summit …. …. but we’re heading north …. …. with time for more photography …. …. not quite as hard as herding cats! 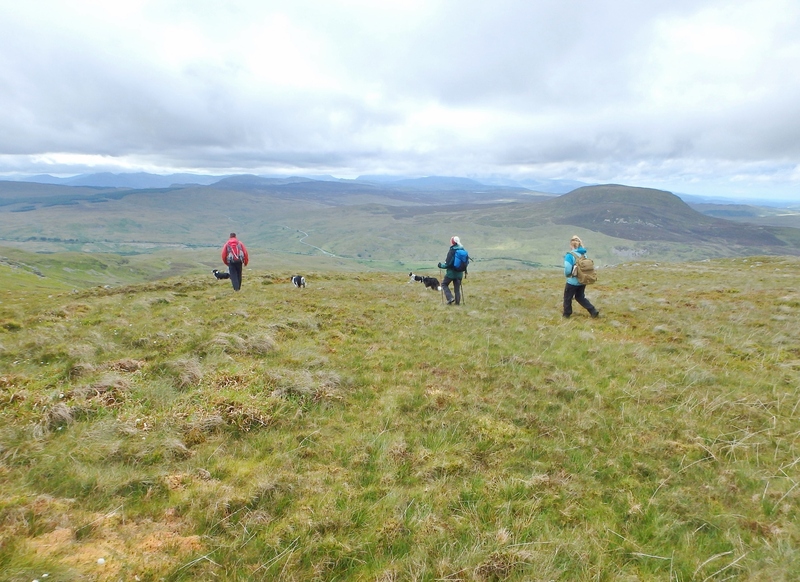 Our return route was a much more gradual descent to the north, with more photos of the dogs on the way back. 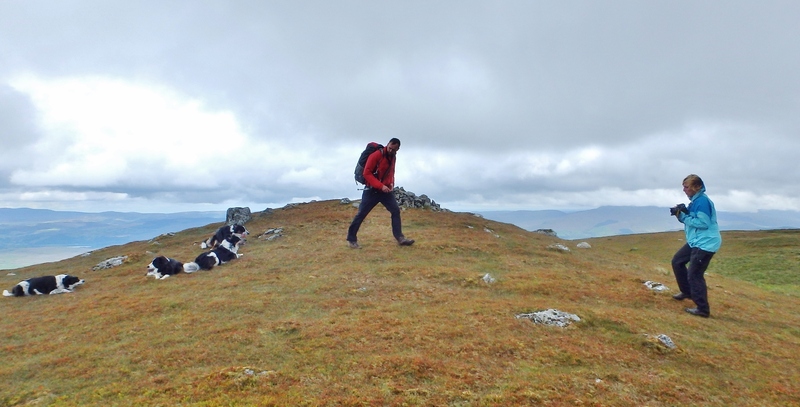 Border Collies are willing to do almost anything when asked, but sitting still isn’t usually included in their repertoire. However, Babs has the patience of a saint and with Richie providing a little distraction she managed a few more images. 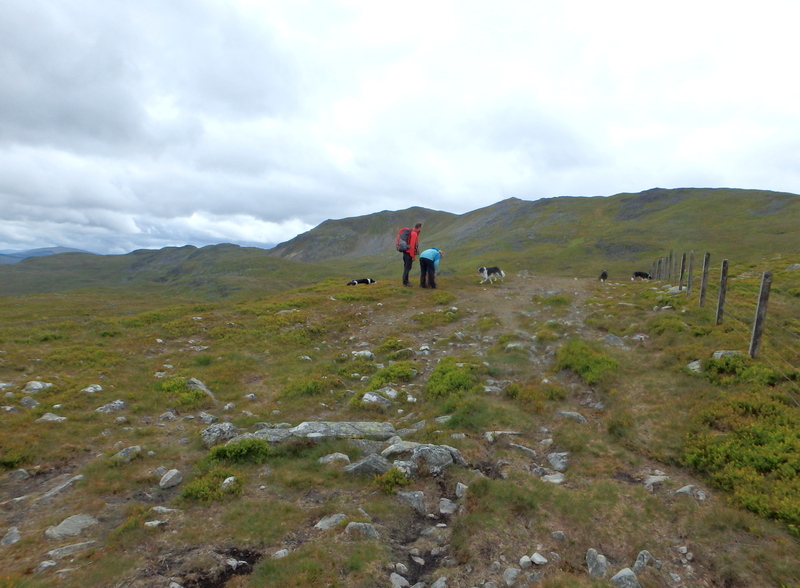 Then it was time for dogs and humans to head for home. p.s. 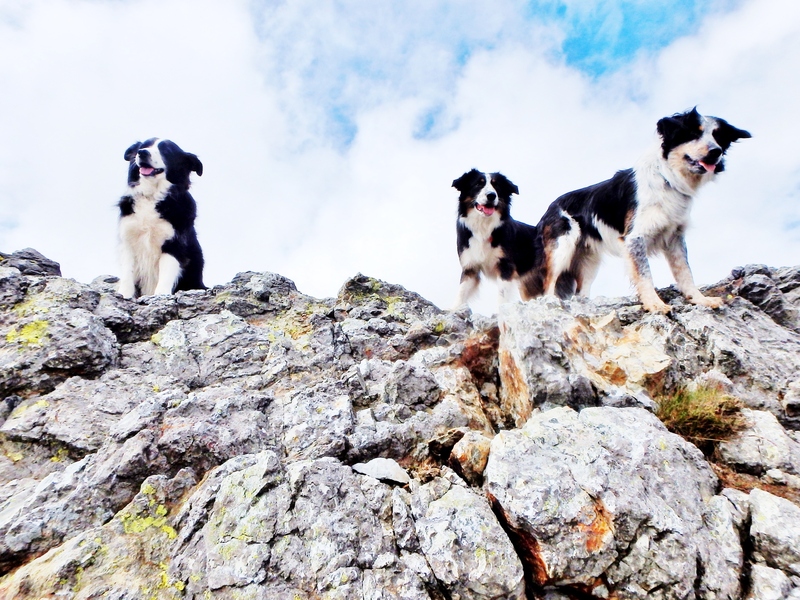 You can see some of the great images that Babs takes on her Facebook page, Dogs and Landscapes. 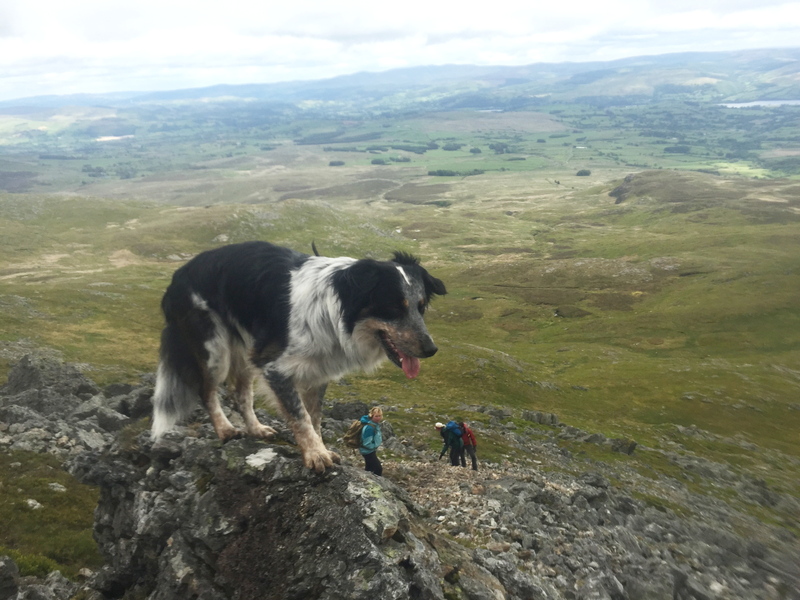 2 Responses to #180 – Arenig Fawr – Going to the dogs! 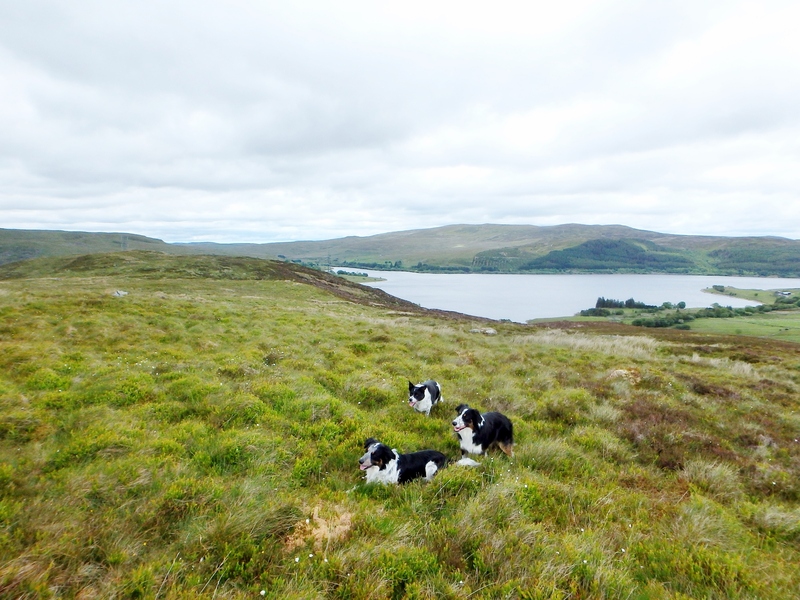 She did well with the dog photos – most dogs are hard to get to keep still but it must be murder with several border collies. 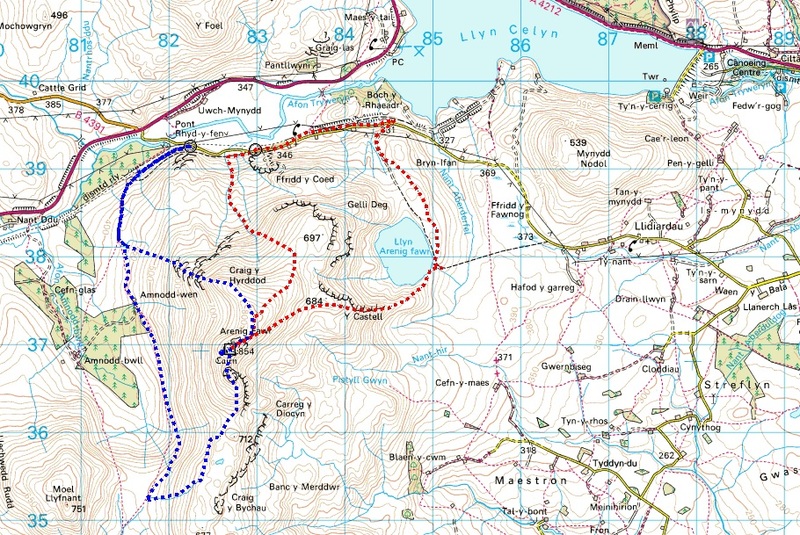 We did similar to that route but the other way around. 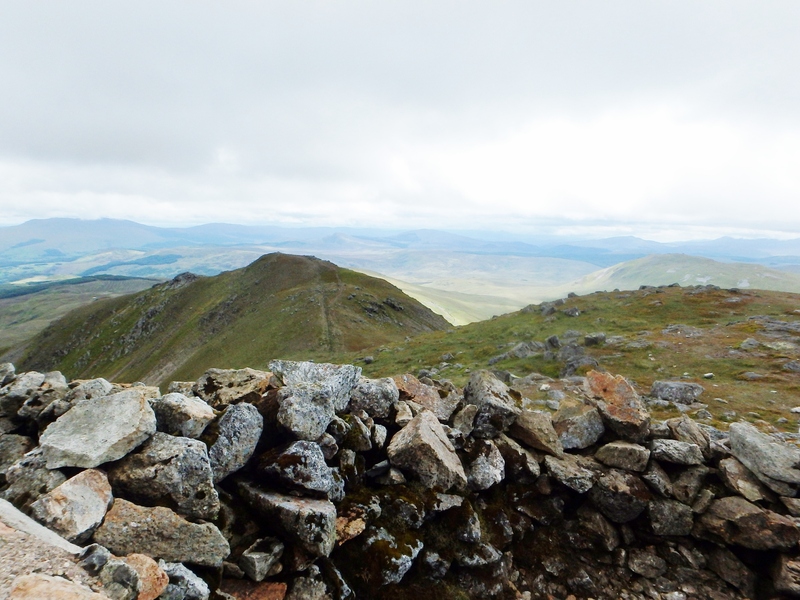 Isn’t there a bothy somewhere on the side with the lake? 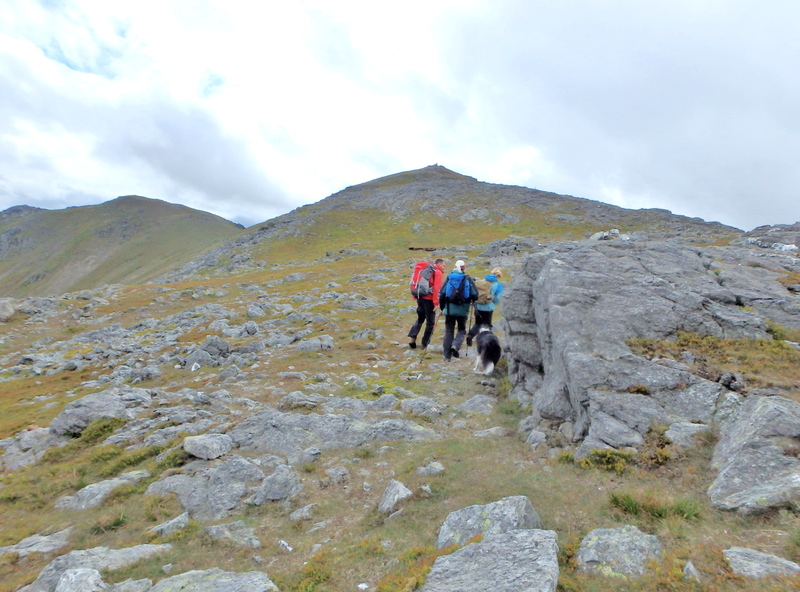 I think we might have started the ascent up the South Summit and then carried on along the ridge before dropping down to the lake but it’s a few years ago now.